Black Cat Fireworks, the #1 most recognized brand for fireworks in the United States, announces buying tips that answer many frequently asked questions to assist fireworks enthusiasts nationwide. Savings vary at each retail location, but you can find savings up to 75% off retail. 2. Where do the Fireworks get shipped? Mail order of fireworks is not legal in the United States. 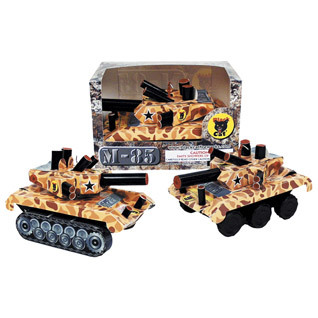 Fireworks Express can ship to all states if the fireworks are for resale. Fireworks Express even connects customers with a Dealer that can provide customers with Dealer pricing. 3. Where are the retail outlets located? Currently, 46 states allow the sale of fireworks and Black Cat® Fireworks are working to have retail locations in all these states to better serve all firework enthusiasts. Using the website location finder and entering a zip code it will provide the outlets currently open and closest to the zip code that was entered in. Note: Many retail locations are seasonal and therefore will only appear live online approximately 30 days prior to opening day. 4. Do all retail locations carry the same items? No. Black Cat Fireworks Independent Retailers carry all brands of fireworks sold in the US Market, however, each retailer chooses their own product selections based on what items are permitted to be sold in their respective area, consumer demand and their own personal market favorites. 5. What fireworks are legal in what areas? Each retail location has listed the fireworks that are legal to be sold in their jurisdiction. Some local restrictions may apply and they are listed in the general information for each retail location. 6. What is the firework selling season? There is a Firework Selling Season chart that list the state selling seasons. Local selling seasons may vary. If our retail location listings do not state specific selling seasons, then you can contact your local city clerks office, fire department or police department for more specific details. 7. What are the operating hours for the retail outlets? Each retail location will list their hours of operation. The open and close times vary due to local ordinances, state ordinances, and/or due to the seasonal nature of fireworks sales demands. 8. Are their minimum age requirements in order to purchase fireworks? Please see the Firework Selling Season chart where there is a list of state minimum age requirements, if applicable. Fireworks Express is available to online shoppers year round with outlets nationwide offering a wide range of fireworks. Many retail locations are seasonal and these locations that allow online shopping are now appearing live for your shopping pleasure and convenience. 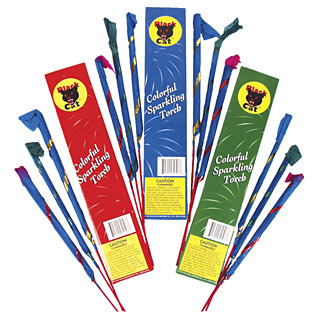 For a complete list of Black Cat® fireworks for sale, as well as other carried brands, by our Fireworks Express partners go to our website FireworksExpress.com. The retailers here are frequently adding new items to their product list so consumers should be sure to check back frequently for new listings.